A leaked cable from the U.S. embassy in Hanoi says asbestos health and safety standards in Vietnam do not adequately protect workers and attempts to limit the health effects of the fibre seem doomed to fail. Many workers in Vietnam will "suffer debilitating diseases" over the coming decades from handling asbestos — some of which is imported from Canada, a U.S. diplomatic cable released by WikiLeaks says. The January 2008 cable calls asbestos "a carcinogen in humans." It was sent from the American embassy in Hanoi to the State Department in Washington, D.C. and to several American embassies, including the one in Ottawa. Canada is cited as one of the major exporters of asbestos — along with Russia and China — to Vietnam, which has increasingly turned to the material for use in low-cost roofing material, the cable says. Vietnam is described as having one of the world's highest per-capita consumption rates of asbestos. "Existing safety and health standards [in Vietnamese factories] are inadequate to protect worker health and few companies follow even these minimal standards….Vietnamese attempts to limit the health effects of asbestos seem doomed to fail due to lack of manufacturing and technical capacity, weak political will, and limited funding and investment," the cable says. It also states that because more than half of Vietnamese men over 15 years old smoke, the combined health effects of smoking and exposure to asbestos over time will probably be severe. Illnesses could include lung cancer, malignant mesothelioma, and asbestosis. 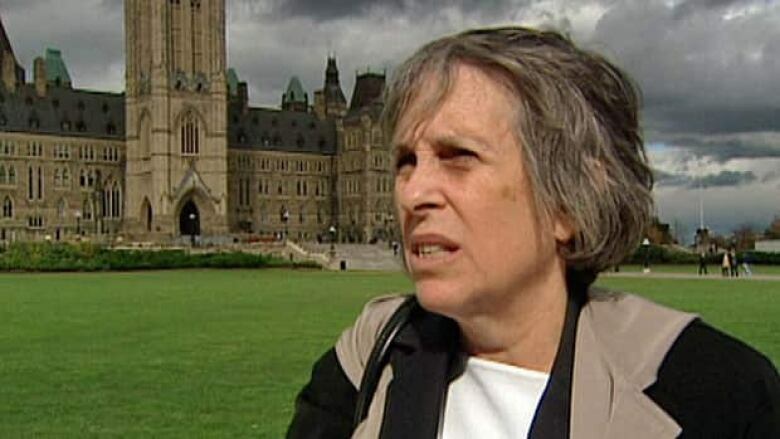 The co-ordinator of the International Ban Asbestos Secretariat, Laurie Kazan-Allen, told CBC that "in places in Asia that are prone to natural disasters like tsunamis and earthquakes, it’s absolutely nuts to put this stuff into the infrastructure." The cable notes that in 2005, the most recent year for which data is available, Vietnam imported over 74,000 tonnes of asbestos. In June, 2011, Vietnam voted with Canada to block the inclusion of asbestos on the hazardous materials list for a United Nations treaty known as the Rotterdam Convention. Industry Minister Christian Paradis said Tuesday that the uses for asbestos in the past were not necessarily good but that today "we are talking about safe use and there are memorandums from the industry with customers and they have to use it safely."